One of the questions I am asked most often is if there is any kind of commercial yogurt that can be substituted for the homemade SCD yogurt. SCD yogurt is fermented for 24 hours, which provides the correct bacteria levels for the diet. The official Breaking the Vicious Cycle website has a great section on yogurt and provides a ton of info about it. With all the kinds of yogurt out there, I know it can be tempting to try them out. These days people are demanding more from their yogurt – less sugar, higher quality, pasture milk, etc, – and that’s great, but it’s still not SCD friendly. Yes, the 24 hour processing for making yogurt can be a pain, but the time you have to spend with is really not all that much. I use a Yogourmet Yogurt Maker. I’ve had the same one for 15 years and it still works great. I have only ever had to replace the batch jar. Yogurt can be made with everything from skim milk to whipping cream. Most of the time I use whole milk. Anything below 2% I don’t like because it’s thin and sour. Skim and 1% milk are higher in carbohydrates than higher fat milk. You can use a combination or milk and whipping cream as well. This works best if you are planning to make frozen yogurt. Yogurt made entirely from whipping cream will whip up and is great for special occasion dessert making. 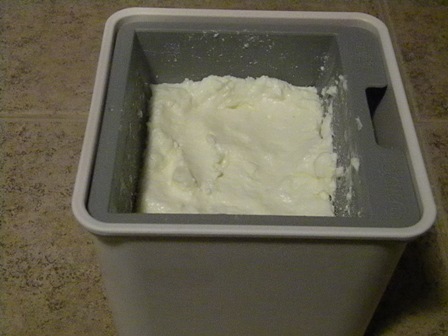 Making yogurt is really super simple using the maker and Yogourmet starter or commercial yogurt. My thermometer broke years ago, but I’ve made so many batches over the years I don’t really need it – see instructions below. If you’re really wanting something like Greek or Icelandic yogurt, you can pretty much create the same thing on your own. Just strain the yogurt. The Yogourmet kit comes with a bag you can use, but I prefer my yogurt cheese strainer – mostly because I don’t like getting the strained yogurt out of the bag. Straining yogurt makes it very thick – if you do it for 24 hours you can get pretty close to the texture of cream cheese. Straining is also great when you are making frozen yogurt, because less liquid means less of an icy texture. Not only is it a health benefit, but it’s also a very satisfying treat. It makes for an easy breakfast and works well in tons of different desserts. If you are finding yourself sensitive to dairy, read more about adding it to your diet here. You can also read more about SCD yogurt and the diet in Breaking the Vicious Cycle by Elaine Gottschall. 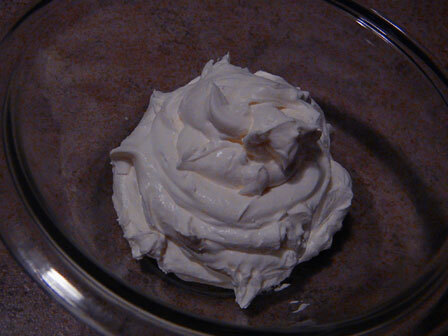 If you are making yogurt from whipping cream you will need to refrigerate it for about 8 hours before whipping it. Otherwise it will just turn to liquid if you try to whip it. I’ve never heard that straining is necessary. You don’t need to do it remove more sugar – the 24-hour cooking process will do that. I don’t know about casin.